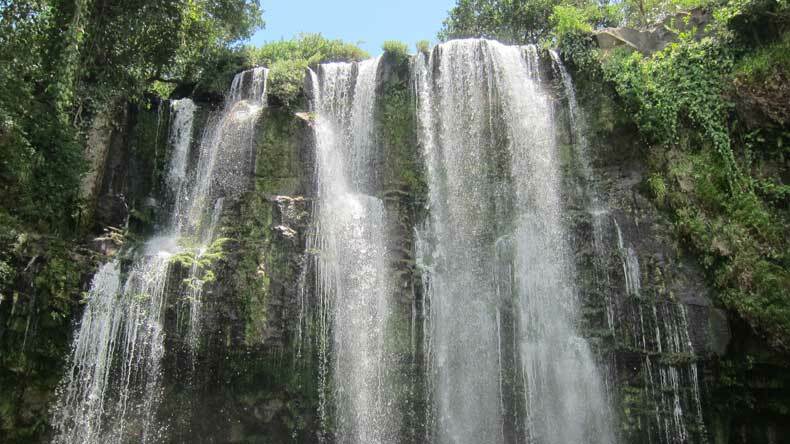 Costa Rica is an ideal tropical location for a family vacation. 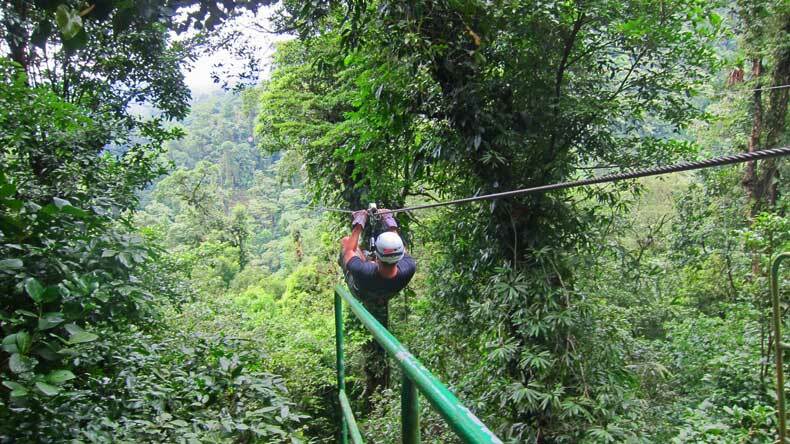 Often considered an adventure destination, Costa Rica offers so much more than just adrenaline-pumping activities. It’s also a nature-lover’s paradise. It’s extremely family-friendly, and it’s a great place for kids to safely and ethically get up-close and personal with waterfalls, volcanoes, and exotic wildlife. 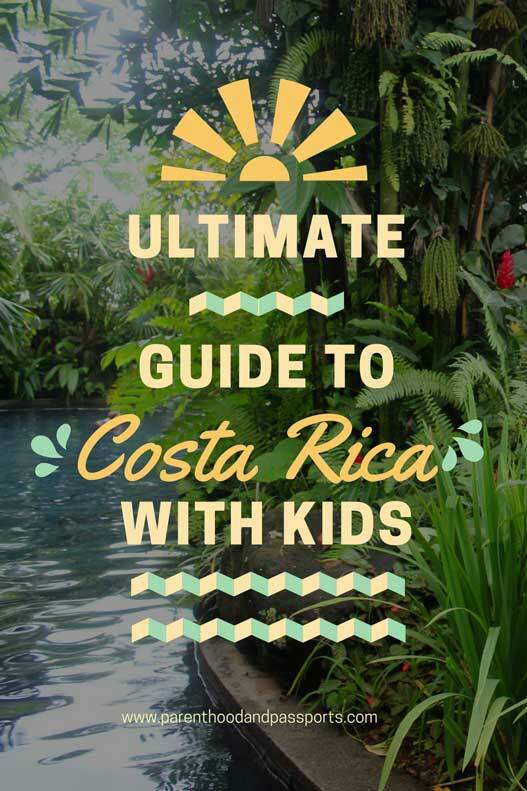 If you are considering a trip to Costa Rica with kids, by all means, BOOK IT! Even visiting Costa Rica with a toddler or a baby can be a great experience, and you’ll make unforgettable memories as a family. 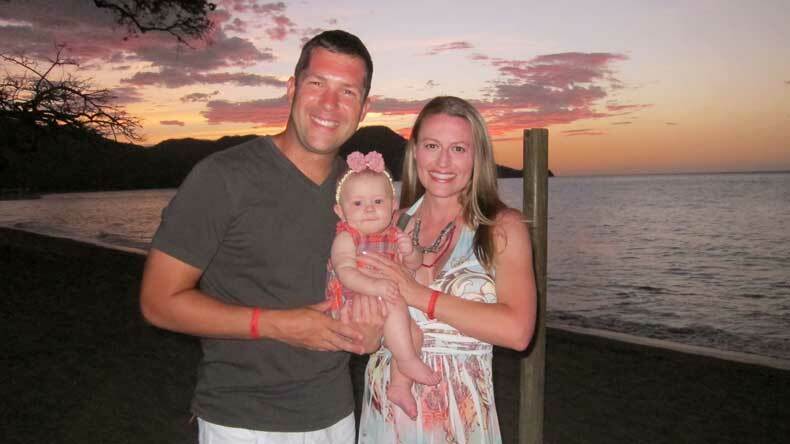 We took our daughter to Costa Rica when she was just 6 months old. My only complaint about our trip is that we didn’t stay in the country long enough. The Ticos, as Costa Rican locals are called, generally love children, especially babies! Everywhere we went people would stop us to talk to our daughter, and waitresses would offer to hold her while we dined in restaurants. Although known for its extreme sports, there is plenty to do in Costa Rica with kids who are too young for activities like ziplining and rappelling. Spanish is the native language in Costa Rica, but you can get by speaking English only, as most people there know some English. However, as with any foreign country, I recommend at least attempting to learn a few words in the native language. Locals always appreciate it when you at least try to speak their language. The colón is the currency of Costa Rica. If you are staying at a resort, many offer currency exchange services. But a lot of the shops and restaurants in touristy parts of Costa Rica also accept American dollars. While most of Central America is thought to be cheap to visit, Costa Rica is one of the more expensive Latin American countries. However, it is possible to travel through Costa Rica on a budget. You just have to plan ahead, do a little research, and know what things cost in advance. It is generally safe to drink the water in Costa Rica, although with small children I tend to opt for bottled water when traveling just to err on the side of caution. Also, some of the resorts use reclaimed water which is not potable, so check first before drinking it freely. The roads are not great in Costa Rica but they aren’t horrible either. We have written an entire guide to driving in Costa Rica which provides detailed safety and infrastructure information. Costa Rica is one of the safest countries in Latin America. The people of Costa Rica live by the saying Pura Vida, which literally translates to “pure life”. Essentially to live pura vida is to live a stress-free life of happiness and relaxation. For this reason, Costa Rica is a very safe place to visit with kids. Although, as with any destination, I always recommend vigilance, being aware of your surroundings, and trusting your gut instinct at all times. Whether you are wanting to visit the beach or the rainforest, Costa Rica offers some incredible and affordable options for both. 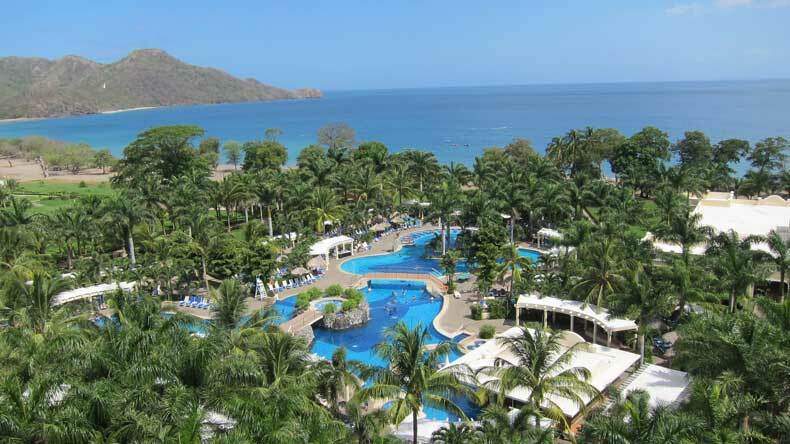 We split our time between the beaches and resorts in Guanacaste on the Pacific Coast, and the rainforests near the Arenal Volcano and the town of La Fortuna. Here is our complete itinerary and reviews for all the places we visited and stayed while in Costa Rica. As I said earlier, I’m disappointed we did not stay longer in Costa Rica so we could explore more of this breathtaking country. I would recommend at least two weeks to see everything there is to do in Costa Rica with kids. Had we stayed longer, I would have liked to check out the following places, all of which you can do with a baby, toddler, or young children. Butterfly conservatory: Butterflies are one of Costa Rica’s biggest exports. You can see all the different species of butterflies at the conservatory. Sloth Sanctuary: You and your child would actually be able to hold a baby sloth. How cute is that?! Need I say more? Tortuguero National Park: This would be especially cool for those visiting during the late summer, when the turtle eggs hatch and the baby turtles make their way to the ocean. This would be a great learning experience for kids. 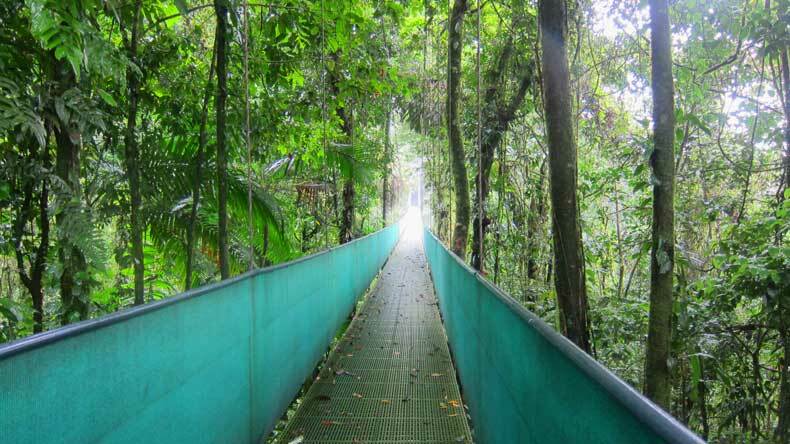 Read more about Tortuguero National Park here. 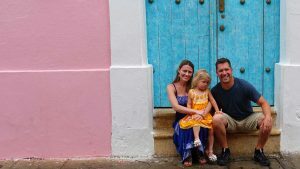 Have a question or comment about visiting Costa Rica with kids? We’d love to hear from you! Share your thoughts in the comments below.